When the Moors Ruled in Europe. 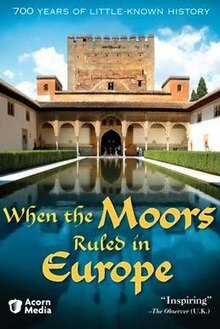 When The Moors Ruled In Europe is a documentary movie presented by the English historian Bettany Hughes. It is the result of her studies on the contribution the Moors made to Europe during their 700-year reign in Spain and Portugal ending in the 15th century. An insightful look into the 700 years before 1492 when the Muslims were at the peak of societal organization and were the undisputed leaders in academic scholarship, artistic architectural designs and all other scientific disciplines.